Renewable and reliable energy sources are needed to meet the increased electricity demand in Florida; however renewable energy sources such as solar are intermittent requiring storage solutions. Furthermore, load management and efficient operation will benefit from a storage solution. In the electric storage area, the Consortium faculty is working towards improving battery and capacitor based storage. The consortium is also working on developing large scale Thermal Energy Storage for Concentrating Solar Thermal Power (CSP). Rajiv K.Singh UF Ultrahigh-energy-intensity integrated capacitors with small form factor for space applications Professor, Materials Science and Eng. Simon Phillpot UF Solid-oxide fuel cells, thermal transport, properties of oxide materials for nuclear-fuel applications Distinguished Professor, Materials Science and Eng. Wolfgang Sigmund UF Synthesis and testing of novel nanostructured materials for energy storage (secondary batteries) Professor, and Graduate Coordinator, Materials Science and Eng. 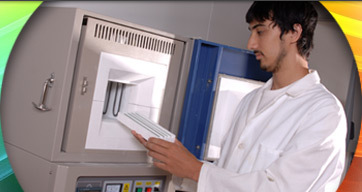 SAFT (http://www.saftbatteries.com/) – Li-Ion battery manufacturing facility located in Jacksonville, FL. G4 Synergetics – Bipolar batteries, located in Gainesville, FL. Startup company. Encell (http://encell.com/management/) – Headquartered in Charlottesville, VA. The R&D facility is in Alachua FL. BrightVolt Inc. (https://www.brightvolt.com/)– BrightVolt, formerly known as Solicore, is a maker of Flexion brand thin, flexible lithium polymer battery strips used in credit cards with advanced security features, RFIDs, and small medical devices. It is based in Lakeland, Florida. Inspired Energy Inc. – Located in Alachua, FL. Inspired Energy offers Battery & Electronics Design Services. ESD Island: Home Made Electrostatic Spray Deposition System (x3): Longer TS2-60 Dual Syringe pump, Kd Scientific KDS200 syringe pump, Basic Peristaltic Pump BT50-1J, New Era Pump System NE-300 Syringe pump, High voltage power source DW-P303-5acCC (x2), Temperature Controller AI-708PDK1-15A (x2), home made temperature controller (x2). Simulation Island: FEMLAB software: COMSOL Multiphysics, Chemical Engineering Module, and Script for All Platforms, Floating Network License for one (1) concurrent user, and addition of the CAD Import Module. License No. 1023246. High performance computer cluster, in-house developed simulation software for the simulation of batteries, semiconductor devices, and sensors (eng.fsu.edu/ms). Full Analytical Characterization Capabilities including TEM, SEM, XRD Dynamic XRD, FIB, Auger, SIMS, and off site Atom Probe Tomography. The University of Florida high performance computing center (HPCC) provides an environment for faculty and their associates to perform compute and data intensive research. The facility currently (April 2010) has over 3,000 cores and 330 TB of storage in three parallel file systems. The clusters are located in three machine rooms that are connected to each other and to the Florida Lambda Rail by the 20 Gigabit/s campus Research network (CRN). The HPC Center is a faculty-driven effort under supervision of the HPC Committee and it reports to the UF CIO. The university administration provides the facilities with cooling and power and pays the salaries of the three full-time staff members. The staff includes tow Ph.D. level scientists who assist users in installing and running their application software, in addition to maintaining the cluster hardware and software. The equipment is purchased from grant and other funds contributed by faculty members who invest in the shared facility. More details about the HPC Center can be found at the web site http://www.hpc.ufl.edu.